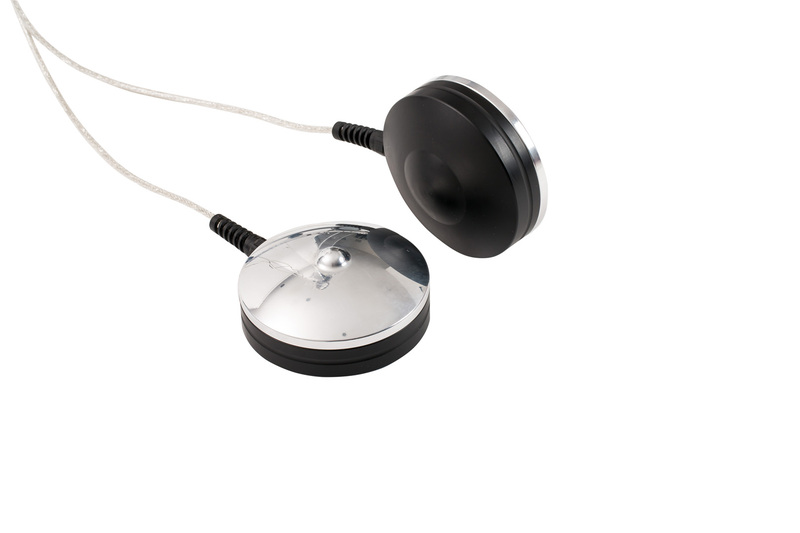 50Hz to 150 Hz, addressed to the stimulation of the neuromuscular system. coordination in activating the related muscles. sedentary lifestyle or advanced age. 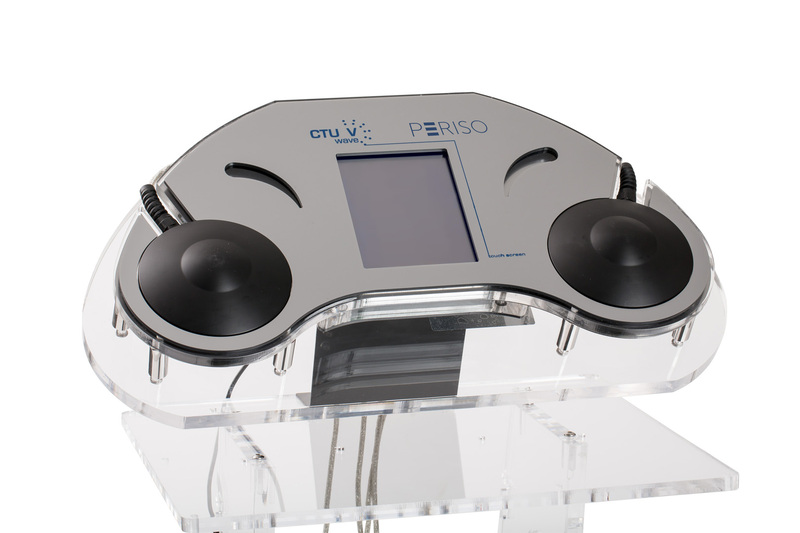 BIO FEEDBACK EMG TO IDENTIFY THE BEST SOUND FREQUENCY THERAPY CTU V Wave is equipped with an integrated electromyographic sensor measuring the echo produced by the muscle reflex arc.This value allows appraising the vibration frequency which the best electromyography feedback corresponds to. 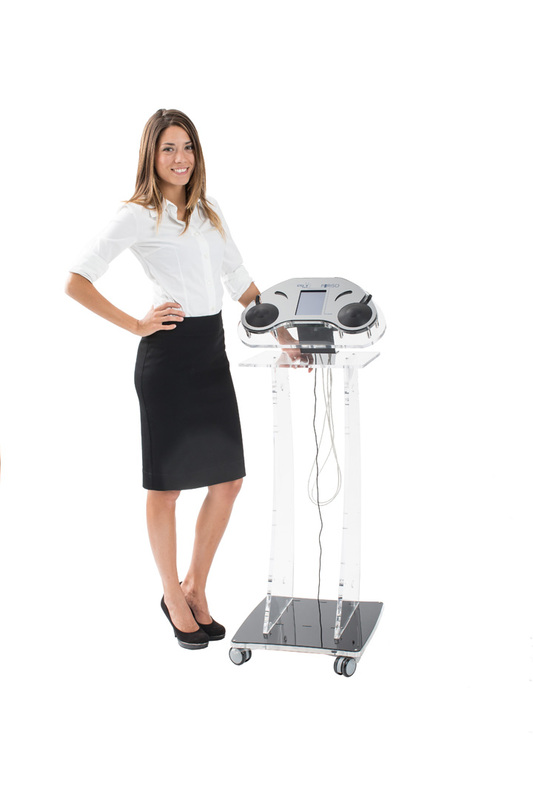 FEEDBACK CONTROL CTU V Wave is able to monitor the muscle reflex sound energy and therefore control moment by moment the acoustic impedance of joining generator and tissue.Its adjustment allows obtaining the reduction of standing waves (the reflex energy) maximizing reservation and vibrating action. AUTOMATIC VIBRATION OF FLUCTUATION FREQUENCIES IN RANDOM SPAN Depending on the muscle response verified through the EMG system and the pre-set training objectives, the device changes and adjusts vibration frequencies to maximize the treatment efficacy and efficiency. CTU V Wave allows producing a random acoustic spectrum that annuls the muscle addiction effect increasing the therapeutic efficacy. resonance created during the therapy. motor neurons, called alpha and gamma respectively. Alphamotor neurons have a big diameter and each innervates a variable number of striated muscle fibres. myotatic reflex that is behind the posture tone.